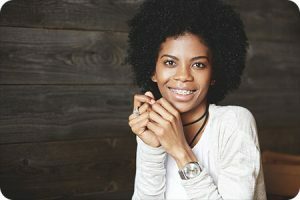 Your risk of tooth decay is proven to be higher while wearing braces, according to our Kirkwood MO orthodontist. It can be easy for food particles, bacteria, and acid to build up, given all the nooks and crannies that wires and brackets provide. This is why it is imperative that you take extra care to actively brush, floss, and rinse your mouth to prevent decay. Using fluoride can help provide extra-clean results! While the process of cleaning braces can be tedious, fluoride—a superhero mineral when it comes to keeping teeth clean and strong—is here to help. Our Kirkwood orthodontist explains that fluoride makes teeth more resistant to the acids produced after you eat or drink. It does this by replacing the minerals that tooth decay diminishes. Fluoride combats bacteria and prevents decay while also strengthening the existing enamel on your teeth. The stronger your enamel is, the less likely cavities, white spots, and erosion become. Fluoride in toothpaste and fluoride’s natural occurrence in drinking water are the most common ways which you encounter fluoride. Brushing with fluoride toothpaste after each meal, or at least twice a day, is recommended when you are wearing braces. Our orthodontist in Kirkwood suggests that you use a soft, compact toothbrush for optimal results. Gently brush along your gum line using a circular motion. Spend about 10 seconds on each tooth, and make sure that you are cleaning under the wires as best you can. Allowing the fluoride to access tough-to-reach spots will help to best prevent tooth decay. Consider using an electric toothbrush if you feel you need extra help! Fluoride mouthwash is recommended for daily and weekly use, and you can apply fluoride gels in moderation as well. Should these strategies still not meet your needs, fluoride supplements can be purchased to increase the mineral’s levels too. Our orthodontist in Kirkwood MO is happy to consult with you about what fluoride exposure is best for you! While undergoing orthodontic treatment, it is important that you don’t forsake your routine dentist appointments. Your dentist can provide a deeper, more thorough cleaning, which is especially necessary when trying to manage oral hygiene and braces. Most dentists can also apply a fluoride varnish that is much more concentrated in helpful minerals than the products you can purchase over the counter. These high levels of fluoride help to boost long-term protection from bacteria and acid. Our orthodontist in Kirkwood recommends exploring which form of fluoride is best for you and your smile! Call our 5-star orthodontist in Kirkwood MO if you have more questions about fluoride! The information provided in this article is not meant to be medical advice and is for educational purposes only. If you would like to learn more about this and other topics related to orthodontics, feel free to contact Borello Orthodontics, with a convenient orthodontic office location near Kirkwood MO , by clicking here or by calling 314.821.2400.